The additional challenge of a lack of cash liquidity in the local market is proving very difficult for many people. The knock-on effect has made paying bills in Zimbabwe difficult, expensive and time-consuming. GAIN Cash & Carry has partnered with ZymPay, enabling Zimbabweans to receive a GAIN shopping voucher to spend in-store at GAIN. No money transfers. No queues. No extortionate costs! These can be used to buy foodstuffs and household goods at any of GAIN’s 60 stores across Zimbabwe. It is a brilliant new way to help your friends and family in Zimbabwe, and so much more effective than the alternative of money transfer. From our homepage, choose Zimbabwe as your destination country, click on the ‘Shopping’ category, select GAIN, and then choose the value of the voucher you want to send from the drop-down menu – anything from $50 up to $200. Just a few clicks to complete the order. Your loved one will then receive an SMS to their mobile containing a code (One Time Passcode – OTP) to use for shopping right away. They’ll need to take their National ID along to redeem the voucher at GAIN’s tills. You’ll find that using these vouchers is as good as cash, it costs nothing to spend them, and you don’t have to spend them all at once either. Use only part of the value and you’ll receive a new voucher by SMS to redeem against your next shop. 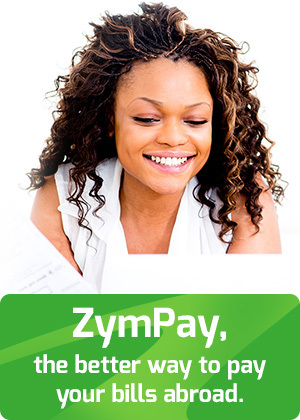 For those of you in the diaspora there is an even greater benefit in that ZymPay’s low, single fee and competitive exchange rate makes sending a voucher far cheaper than making a money transfer. And for a limited period, these vouchers will attract a Diaspora Bonus* too. For example, spend $100 on a shopping voucher and a minimum bonus of 5%* will be added to the voucher’s value at the checkout, giving your loved ones even more to spend on the vital goods they need. If you have any queries about your voucher, just ask at any branch of GAIN Cash & Carry. Click here to find your nearest GAIN Cash & Carry location. Buy a GAIN Cash & Carry shopping voucher today at ZymPay. * Diaspora Bonus is subject to the Local ‘Export Incentive Scheme’ rules and regulations managed by our partner Institution in Zimbabwe at all times.